ESA - Rosetta Mission patch. ESA's Rosetta spacecraft has revealed asteroid Lutetia to be a primitive body, left over as the planets were forming in our Solar System. Results from Rosetta's fleeting flyby also suggest that this mini-world tried to grow a metal heart. Rosetta flew past Lutetia on 10 July 2010 at a speed of 54 000 km/hr and a closest distance of 3170 km. At the time, the 130 km-long asteroid was the largest encountered by a spacecraft. Since then, scientists have been analysing the data taken during the brief encounter. All previous flybys went past objects, which were fragments of once-larger bodies. However, during the encounter, scientists speculated that Lutetia might be an older, primitive 'mini-world'. Now they are much more certain. 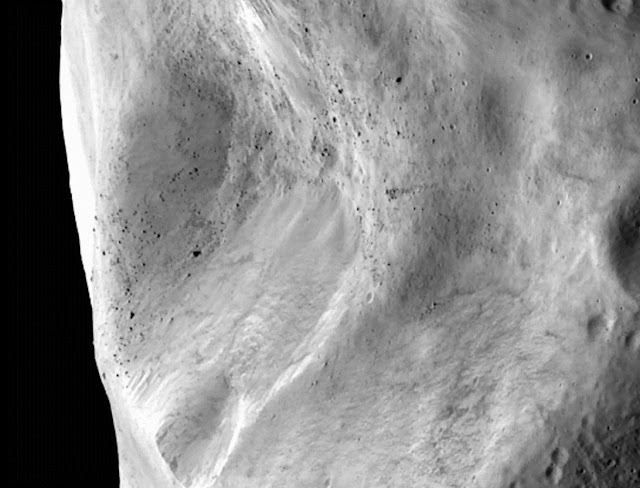 Images from the OSIRIS camera reveal that parts of Lutetia's surface are around 3.6 billion years old. Other parts are young by astronomical standards, at 50–80 million years old. 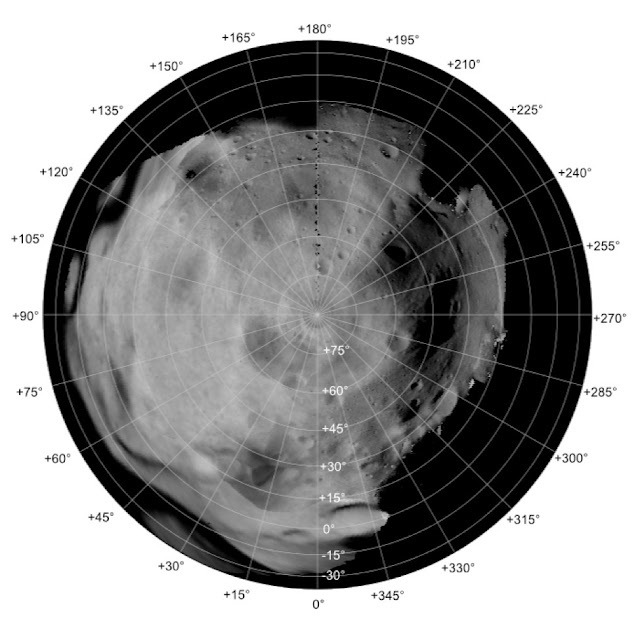 Astronomers estimate the age of airless planets, moons, and asteroids by counting craters. Each bowl-shaped depression on the surface is made by an impact. The older the surface, the more impacts it will have accumulated. Some parts of Lutetia are heavily cratered, implying that it is very old. On the other hand, the youngest areas of Lutetia are landslides, probably triggered by the vibrations from particularly jarring nearby impacts. Debris resulting from these many impacts now lies across the surface as a 1 km-thick layer of pulverised rock. There are also boulders strewn across the surface: some are 300–400 m across, or about half the size of Ayers Rock, in Australia. Some impacts must have been so large that they broke off whole chunks of Lutetia, gradually sculpting it into the battered wreck we see today. "We don't think Lutetia was born looking like this," says Holger Sierks, Max-Planck-Institut für Sonnensystemforschung, Lindau, Germany. "It was probably round when it formed." 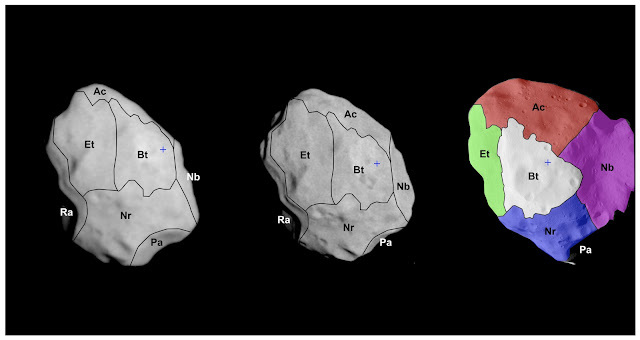 Rosetta's VIRTIS spectrometer found that Lutetia's composition is remarkably uniform across all the observed regions. "It is striking that an object of this size can bear scars of events so different in age across its surface while not showing any sign of surface compositional variation," says Fabrizio Capaccioni, INAF, Rome, Italy. This is just the start of the mystery. Rosetta also let scientists investigate beneath the asteroid's surface. It appears that Lutetia tried to grow an iron core like a bona-fide planet when it formed. During the encounter, Lutetia's weak gravity tugged on Rosetta. The slight change in Rosetta's path was reflected in radio signals received back at Earth, indicating a mass of 1.7 million billion tonnes. "The mass was lower than expected. Ground-based observations had suggested much higher values," says Martin Pätzold, Universität zu Köln, Germany, leader of the radio science team. 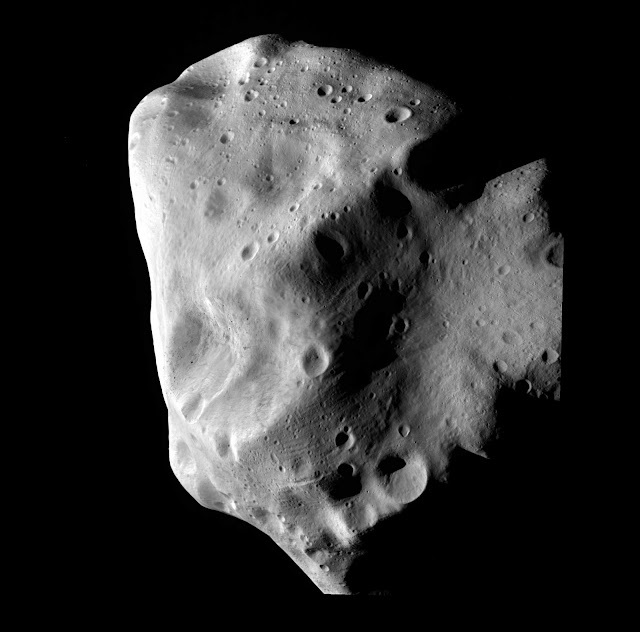 Nevertheless, when combined with its volume, Lutetia still turns out to have one of the highest densities of any known asteroid: 3400 kg per cubic metre. The density implies that Lutetia contains significant quantities of iron, but not necessarily in a fully formed core. To form an iron core, Lutetia would have had to melt as a result of heat released by radioactive isotopes in its rocks. The dense iron would then sink to the centre and the rocky material would float to the top. However, VIRTIS indicates that Lutetia's surface composition remains entirely primordial, displaying none of the rocky material expected to form during such a molten phase. The only explanation appears to be that Lutetia was subjected to some internal heating early in its history but did not melt completely and so did not end up with a well-defined iron core. These results, all gathered during just a short flyby, make Lutetia a unique asteroid and an invaluable postcard from the past, at a time when Earth was forming. "We picked a most important member of the asteroid belt," said Rita Schulz, ESA's Rosetta Project Scientist. "All the asteroids encountered so far were different from each other, but Lutetia is the only one in which both primordial and differentiation features have been found. "These unexpected results clearly show that there is still much more to investigate before we understand the belt fully." Having now left Lutetia far behind, Rosetta is in hibernation and en route to its 2014 rendezvous with comet Churyumov–Gerasimenko. 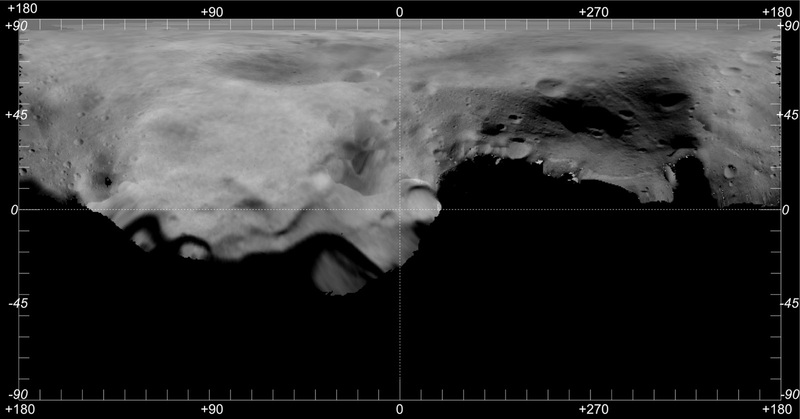 Images, Text, Credits: ESA 2011 MPS for OSIRIS Team MPS / UPD / LAM / IAA / RSSD / INTA / UPM / DASP / IDA.